This deep purple look is perfect for a night out as it is a little dramatic and dark. 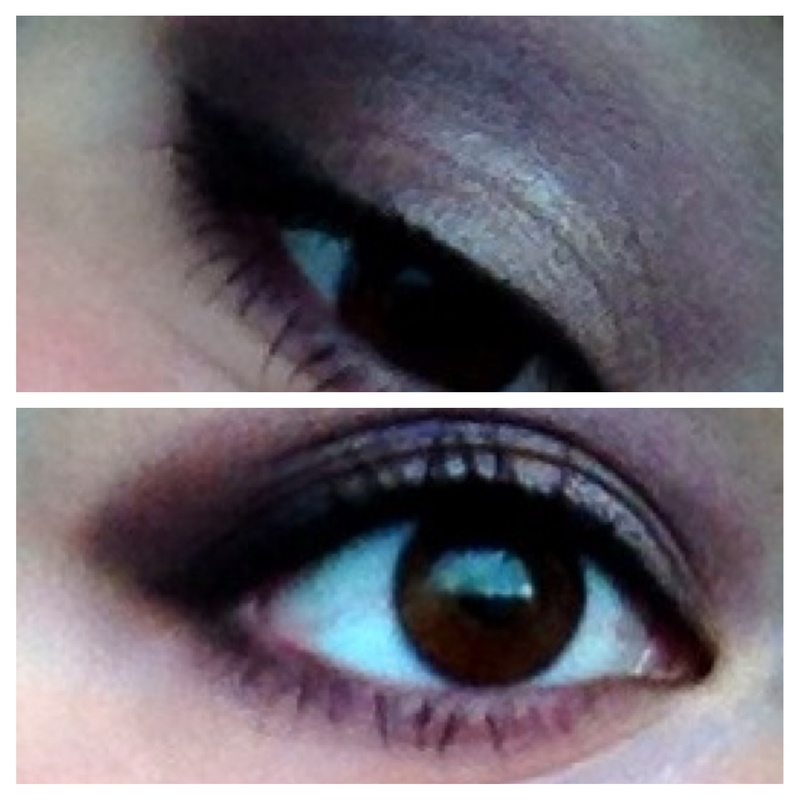 It is also perfect for brown eyes and purple and browns work very well together! 1. Firstly I applied Too Faced Shadow Insurance to the whole of my lids. This will help the colours stand out, and keep the eyeshadows from creasing. 2. Secondly, I applied a wash of browny/purple from my i-Devine Sleek eyeshadow palette to my eyelid, stopping at the crease and blending. I used the Real Techniques Base Shadow Brush. 3. I then used Nocturnelle by MAC and blended it into the crease and the outer V with the Real Techniques Base Shadow Brush. 4. After that, I added Shadowy Lady to the outer V with the Real Techniques Brow Brush for precision. 5. I then blended like crazy using the Base Shadow Brush again, being sure to blend out the harsh lines from Shadowy Lady. 6. Next, I lined my waterline with Barry M’s black Kohl Liner. This adds thickness to my lashes. 7. After, I lined my eyes with Barry M’s black liquid eyeliner. I flicked it out a little, but nothing too dramatic. 8. I then curled my lashes, and coated my lashes with MAC’s Zoom Fast Black Lash. 9. At this point I realised the look was a little too dark and shadowy, so I added a pearl shimmery colour from the i-Divine Sleek palette to the inner corner, and middle of my eyelid to add some light. This is a fairly simple look, and takes under 10 minutes to create. Just remember to blend!